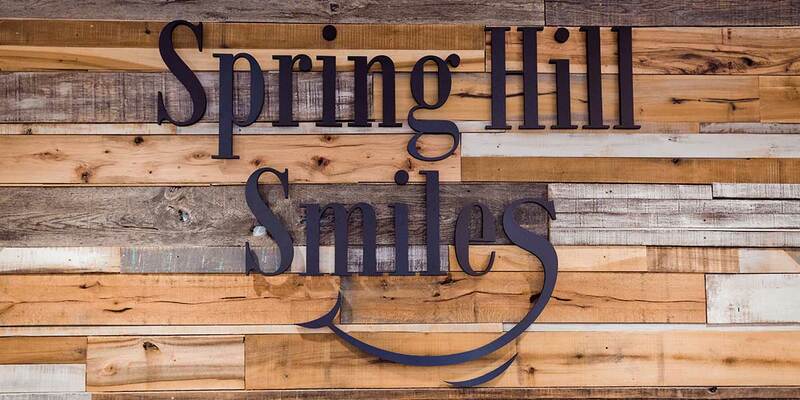 Spring Hill Smiles is more than just incredible dental care! They are family! They take care of our needs, and always help us feel better! Dental care doesn’t ever have to be scary again! Dr. Todd and Dr. Terrah only have my families best interest at heart. They don’t recommend expensive UNNECESSARY procedures. They give you the absolute best care, and they help work with your financial situation! I honestly can’t say enough about them, thank you Spring Hill Smiles for taking care of me today, and my family for years! We couldn’t ask for more! We absolutely ❤️ Spring Hill Smiles! It’s so convenient to have our dentist and orthodontist in the same office, one stop and we have it all covered. The staff is always so friendly and accommodating of our busy schedules. Would highly recommend them. Great group of people! The staff here is so genuinely attentive and helpful. I never feel like “just another patient.” Keep up the quality work Spring Hill Smiles! I’ll be honest, I used to hate going to the dentist. However, since going to Spring Hill Smiles my perspective has completely changed. Drs. Todd & Terrah and the entire staff really put the ‘family’ in Family Dentistry and Orthodontics. Their genuineness makes me feel comfortable, they communicate well, and they are always very thorough at each visit. If you are in need of dental care, I would highly recommend joining the Spring Hill Smiles family. We ❤️ Spring Hill Smiles. Both of my boys have braces. One is almost done with the process and the other is just starting. Dr. Terrah has been very kind and has explained things thoroughly with each child. The office staff is always kind and helpful! Also, the point system for the kids is a great motivator. We highly recommend SHS! My family of 6 loves Spring Hill Smiles! We have been coming here almost since they have opened. We have done both regular cleanings and more with Dr. Todd and orthodontics with Dr. Terrah. Our visits are awesome and we feel so welcome each time! My kids are excited every time to walk through the doors for their appointments! We have such a sweet relationship with the entire staff and recommend them to anyone searching for dental care. Thank you Spring Hill Smiles from the Johnston 6! Great with kids & adults. I love that they really take the time to talk to you and explain the process when it comes to orthodontics. Highly recommend!!! My family and I love Drs. Todd and Terrah Larrabee, including the staff! Everyone is friendly, professional, and efficient. We have two in braces and have had no problems. Dr. Terrah worked with them both and the results are beautiful! My husband is afraid of the dentist, but the staff and Dr. Todd have made him completely at ease. I’m always greeted by name and by a smiling face when I arrive. I couldn’t recommend a better dental/orthodontic office. Everything is in house which is convient. So whether a visit to the dentist or for orthodontics, this family looks forward to our appointments! Our family absolutely loves Spring Hill Smiles-Larrabee Family Dentistry and Orthodontics. Walking in the door we know we will be greeted by our names and treated like valued friends. We know we will also receive the very best care and will leave feeling great, because it is always a relaxed and fun atmosphere. Doctors Todd and Terrah and their entire staff are clearly invested in developing solid relationships with clients and that is what sets them apart from many other businesses. I regularly have friends ask me for their recommendations for certain services, and for dental and orthodontics I have and will continue to highly recommend Spring Hill Smiles! I always love walking into the warm and friendly atmosphere of Spring Hill Smiles! All of the staff is polite and respectful, and I appreciate how they know everyone’s name and take the time to ask how we are doing. When it comes to orthodontics, they are gentle and always make sure I am comfortable. I was weary about getting braces, but they have made it as easy and pain-free as possible. I would recommend Spring Hill Smiles to anyone looking for great orthodontic and/or dental care. By far the best dental practice I have ever been to. We went for a second opinion on my daughter’s braces and will never leave! The staff is fantastic too and that counts for so much. They are also very easy to work out financial arrangements. Everything about the whole practice feels friendly! I wish I could give more than 5 stars! My daughter has been an orthodontic patient of Dr. Larrabee for several months now and we are more than pleased with how we have been treated! Not only is the entire office staff friendly and very prompt, we rarely have to wait very long to be seen for our scheduled appointments. My daughter looks forward to seeing Dr. Larrabee and has not had any sense of fear or nervousness from day one. We will be continuing with orthodontics for my other two children in the near future. Thank you for offering wonderful and caring service!